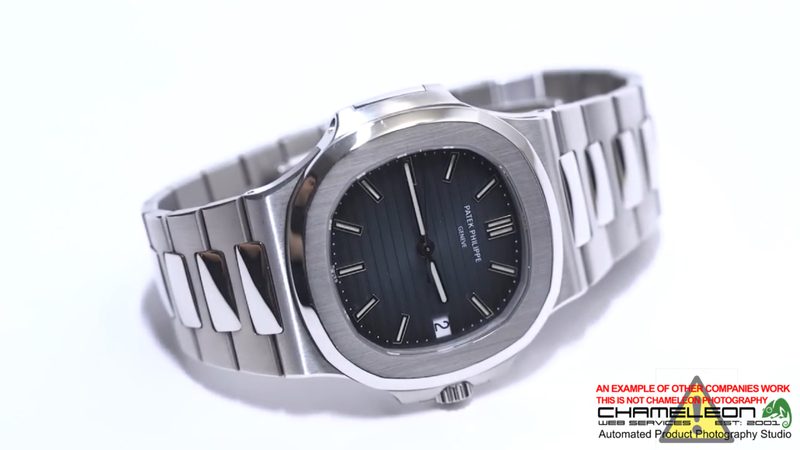 Watch photography is one of the key elements to a watch brands success and for example, the Patek Philippe Nautilus 5711/1a-010 is one of the most desirable sports watches available made by one of the leading manufacturers in the World Patek Philippe. 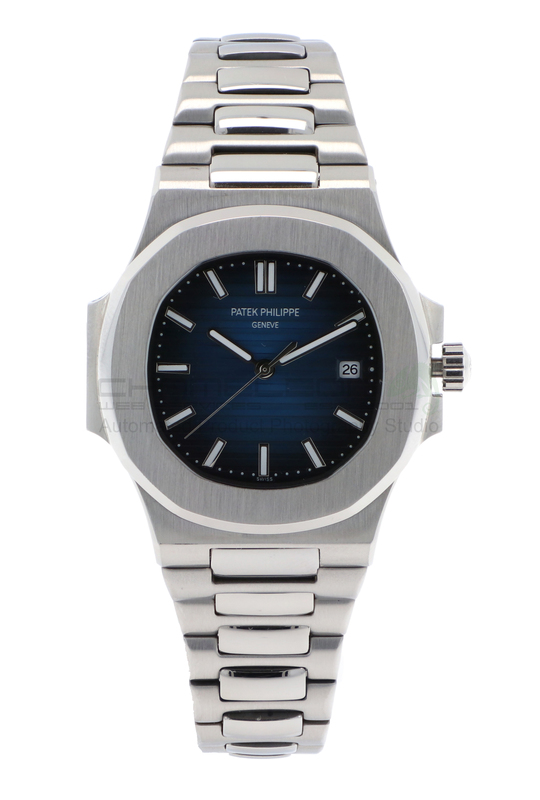 This particular watch the Patek Philippe Nautilus has a retail price of £22,820 and due to the lower build number, this watch brand new and unworn is often sold for double the retail value fetching around £47,420 on average. 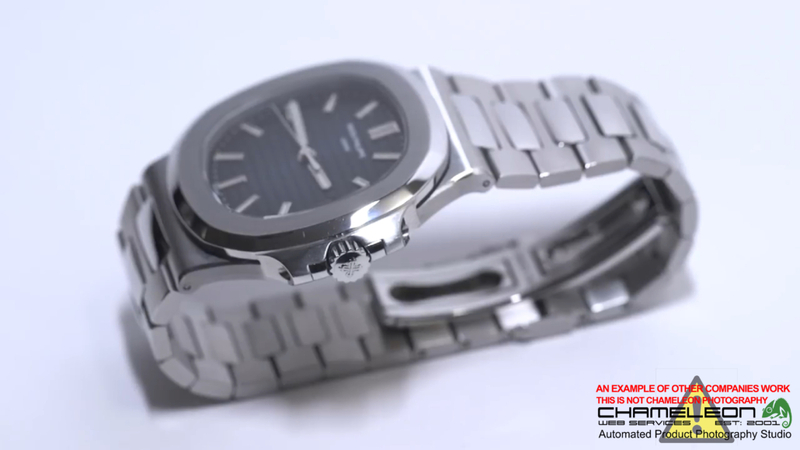 This luxury timepiece is an attractive asset to purchase as an investment. 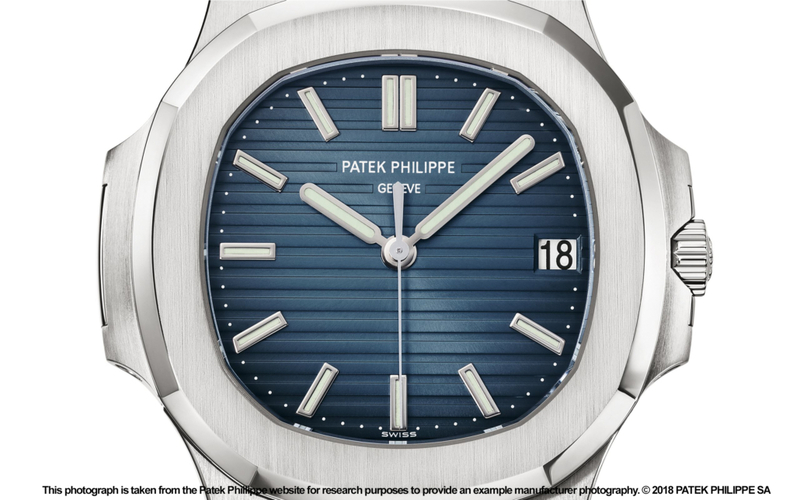 Patek Philippe as a watch brand is one that is appreciated very highly due to century’s worth of technical innovation into mechanical complexity, effort and the time it takes to make one of their watches. 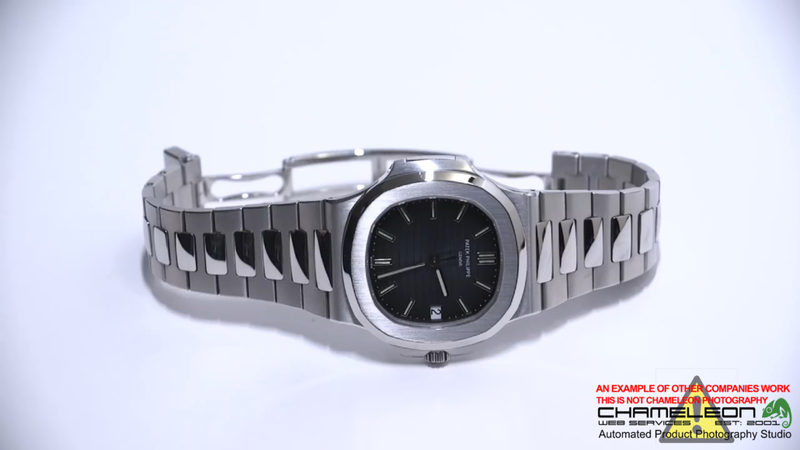 Due to the fact that this watch is all about quality, it is the perfect watch to be used to explain the quality of photographs. Looking online we found companies that are using images to advertise this watch that whilst they look ok at first when you compare them to what we can achieve automatically in our automated photography studio the differences are huge. 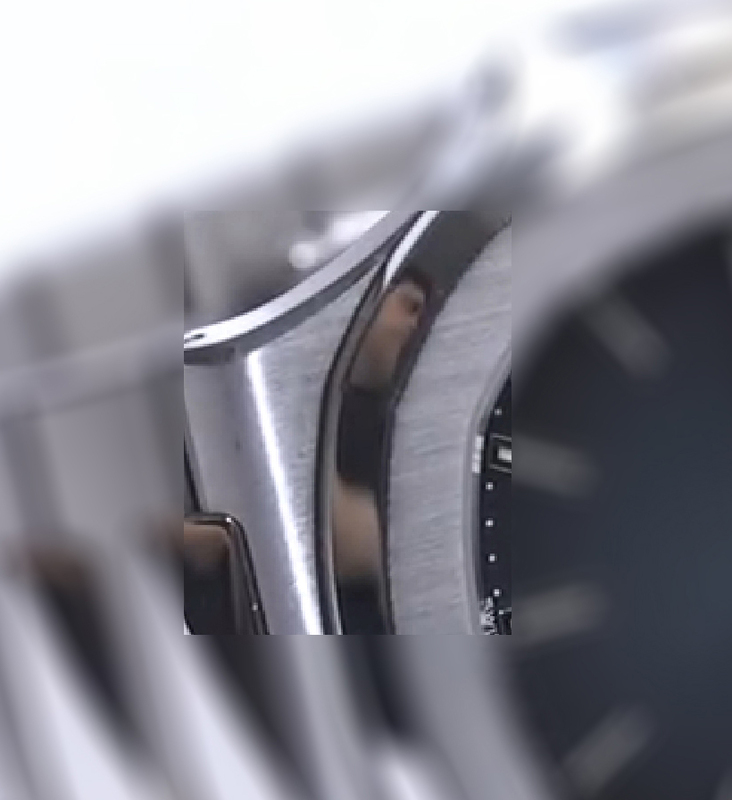 Due to the this, the rear of the image around the strap area becomes blurred due to the aperture being wider which allows for a shallow depth of field. 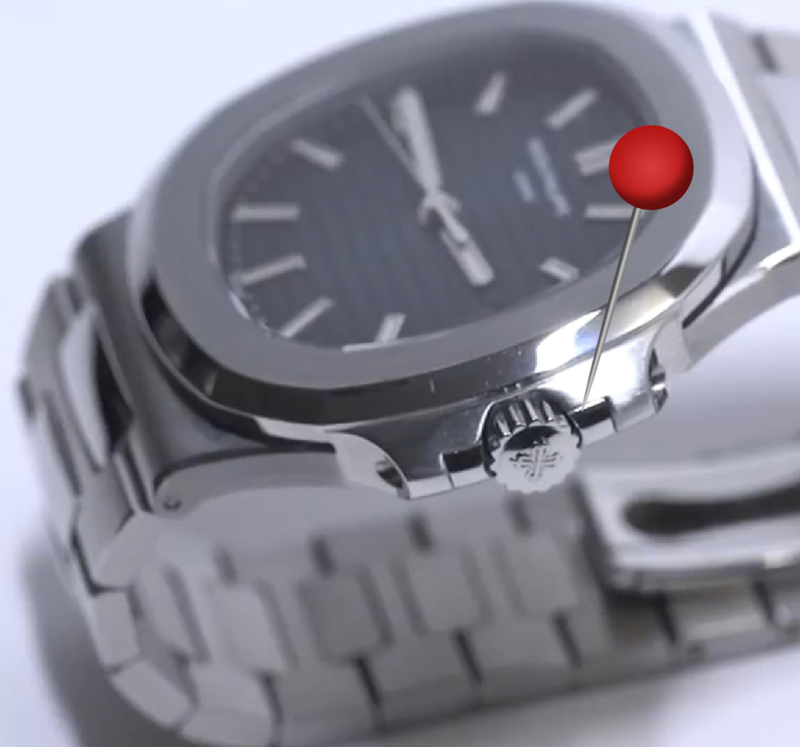 The blurry watch strap is caused by the f-stop and the wider the f-stop is, the smaller the depth of field will be. To make sense of this the Depth of field is the amount of the photo that is in focus and this can make for a nice effect in photography but when showing off an expensive watch you want to see all the fine detail which causes photographers issues which is actually difficult at times to overcome when photographing. As a photographer moves a watch around to get the different angles the watch reflection will change and also the focal point will be changing as new parts of the watch become the closest point to the camera. The other problem here is the background, the image has been shot on a white background and this works ok, but if you could completely remove the background and have a pure white background it would be better as the watch become alive. 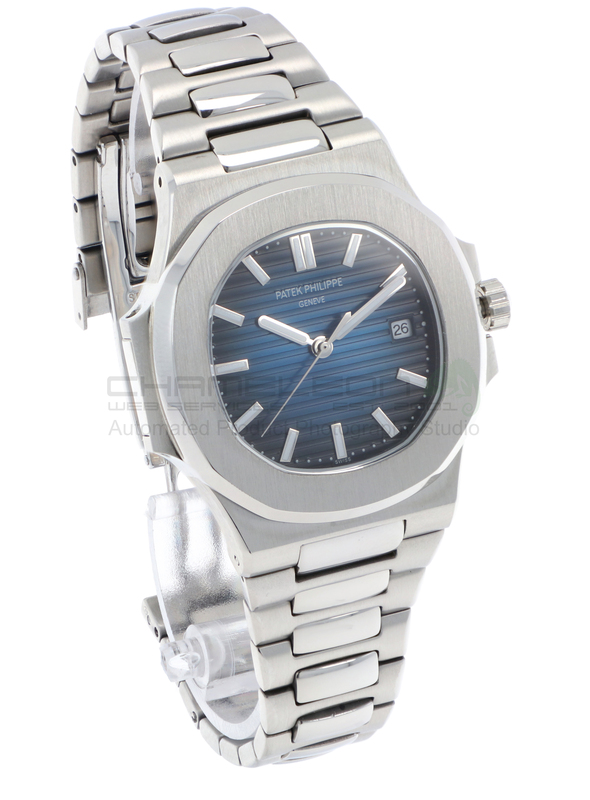 The images of this watch are the normal style of images we can find when shopping online and they work to show the product itself. 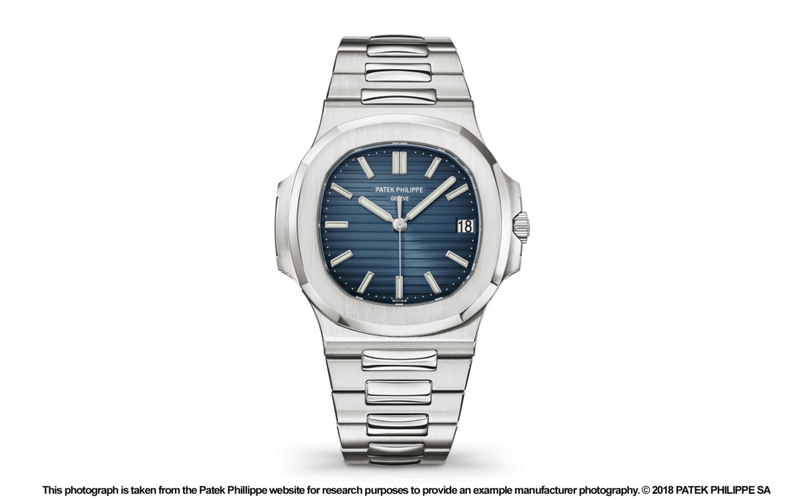 If you take a look at what can be achieved, Patek themselves have photographed the watch and provided on the website images that are fantastic as you would expect them to be, being as they are from the manufacturer. Note: These images are Copyright © Patek Philippe and we have only used them for research purposes clearly stating the original origin and they have only been used to provide an example of the required high-end photography needed to make this blog post adding more value to its reader showing the quality thay Patek Phillippe achieve. Overall the images used are very good and this should be the standard needed and we have tried here to provide a bad example and then the best. So now what can be achieved and using our automated photo studio that is different from the images we have shown above and how long will it take to achieve something similar. Our system can focus on the front of the watch and the rear of the strap which might result in 4 to 6 steps in focus and then the automated photography software will take all the images and at the same time remove the background from each image and stitch them together to give you the perfect in focus product photograph showing all of the entire product in focus which looks simply amazing adding value to the person viewing as they can really see the detail. 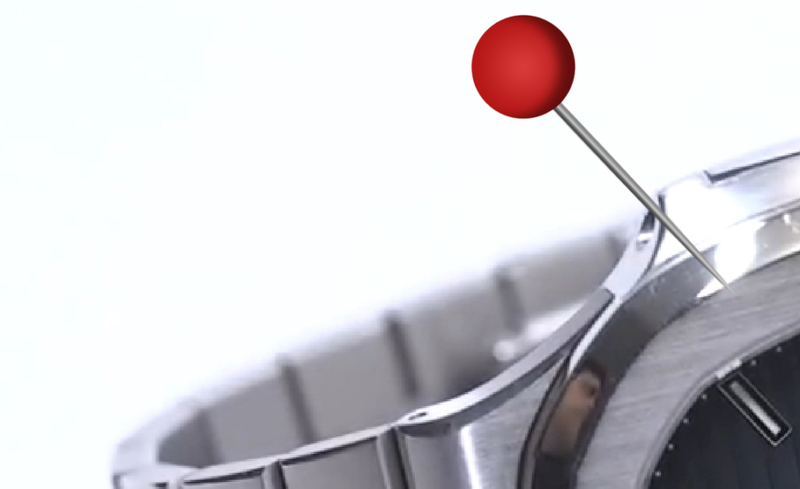 Note: The crown was pulled out to stop the watch movement here. This image took less than 2 minutes to achieve with no editing as the software does all the hard work. We can then create a 360 spin photography set of images, rotating the watch automatically using the software and creating a 360 transparent background image set that can be used with touch points with HTML or as a video. These images we have taken are to show what can be achieved without cleaning up the images or trying to improve them. 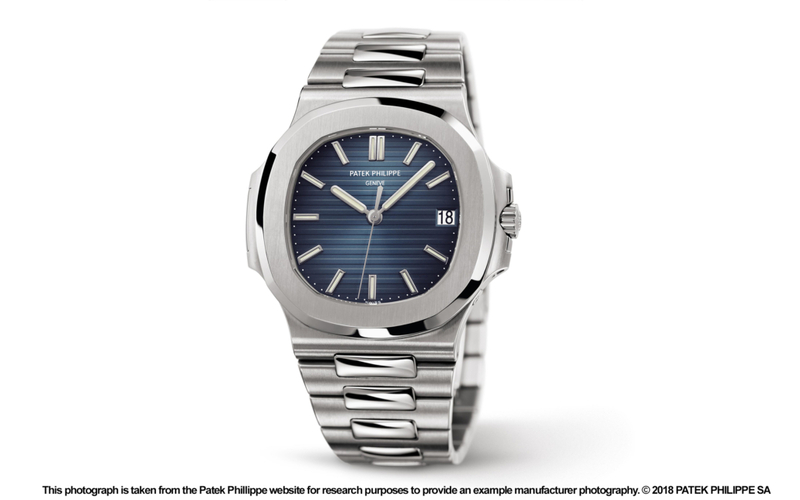 The Patek Philippe 5711/1A – NAUTILUS has a rounded octagonal shaped body based on a porthole with a horizontally embossed dial. 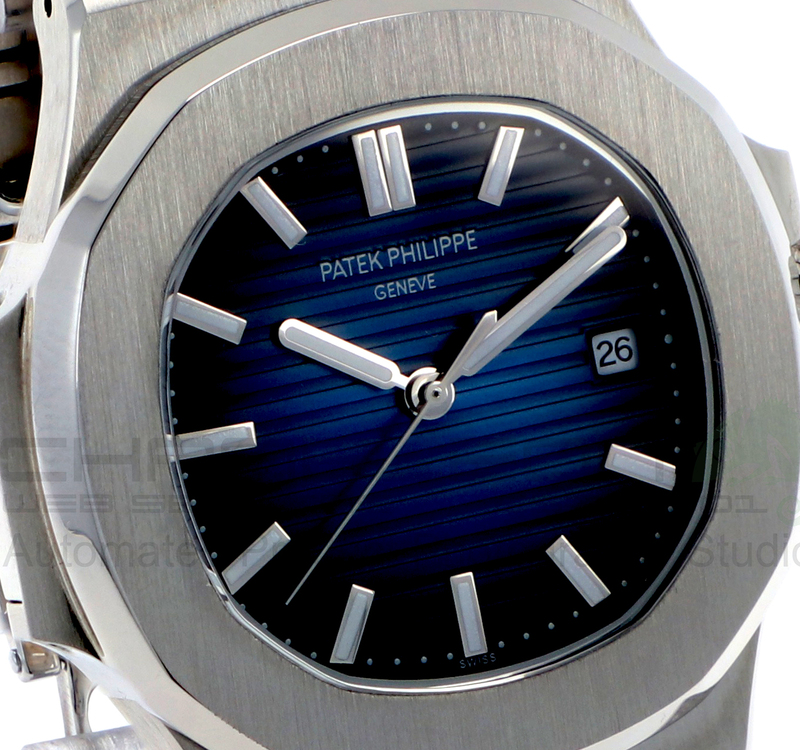 This has been one of the most elegant sports watches since it was developed over forty years ago in 1976. The Nautilus collection of models available for men and women is available in steel, rose gold, white gold or two-tone combinations providing incomparable class making this model range of the most desirable of all watches ever made. 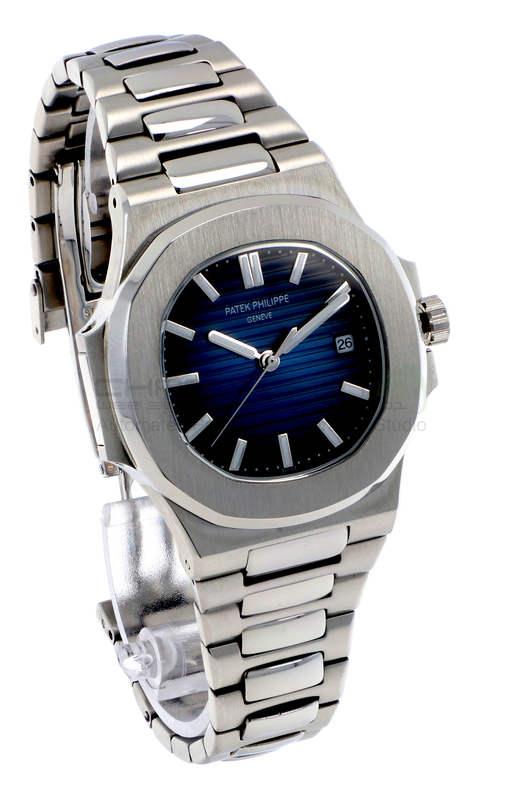 The Nautilus is an automatic watch using a mechanical self-winding movement the Caliber 324 S C with the date in an aperture. The power reserve is suggested to be a minimum of 35 hours to a maximum of 45 hours. The central rotor is built in 21K gold with a unidirectional winding that operated using a balanced Gyromax® which operates at vibrations/hour of 28 800 (4 Hz) and uses a balance spring Spiromax®. Gold applied hour markers which have a luminescent coating bring the watch face to life at night. 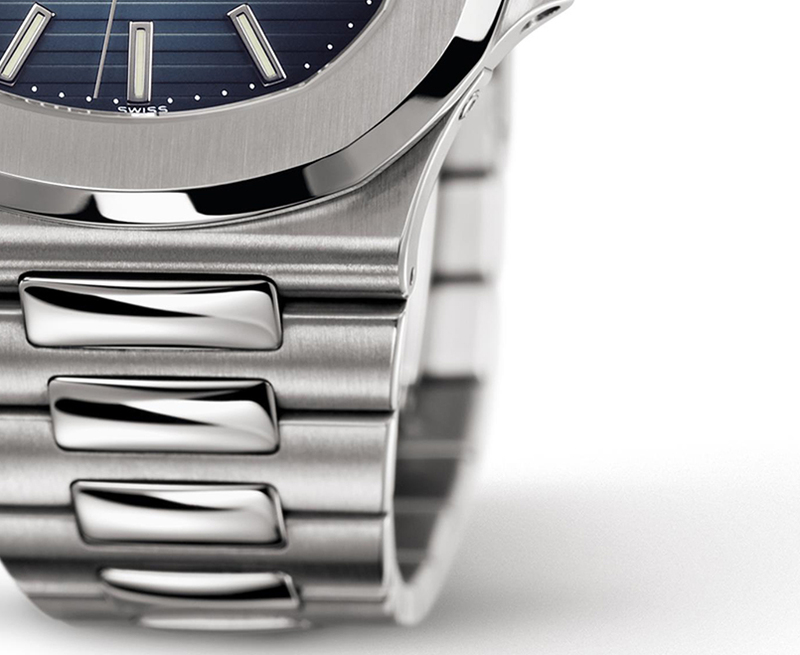 The Nautilus also has one of the most attractive steel bracelets available in the watch market which has been made with attention to detail, perfecting the bracelet to be something that fine jewellers can really appreciate and yet still provide a secure strap, keeping everything in perspective with the size being perfect. The case is steel with a screw-down crown and the Nautilus has a sapphire-crystal case back showing off the amazing calibre 324 c movement. This watch is water resistant to 120 metres. Case diameter (10-4 o’clock): 40 mm. Height: 8.3 mm. Suggested retail price taxes included. Prices May be subject to alteration at any time and do not constitute a contract.